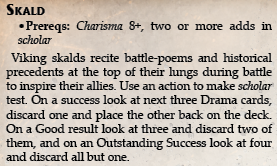 Today we’re going to take a quick, short look at some of the Perks detailed in the Aysle Sourcebook. Please remember that the Perks previewed below are still in development, so may change in the final product. 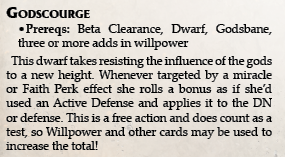 We’re going to skip Magic Perks in this preview since we already discussed those last week. 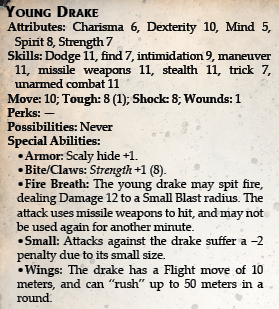 In addition to allowing elf spellcasters to get even more spells via the Elven Magic Perk, and an upgrade to the White Wolf Perk, elves can embark down a Perk Tree that eventually leads to becoming a drake rider! 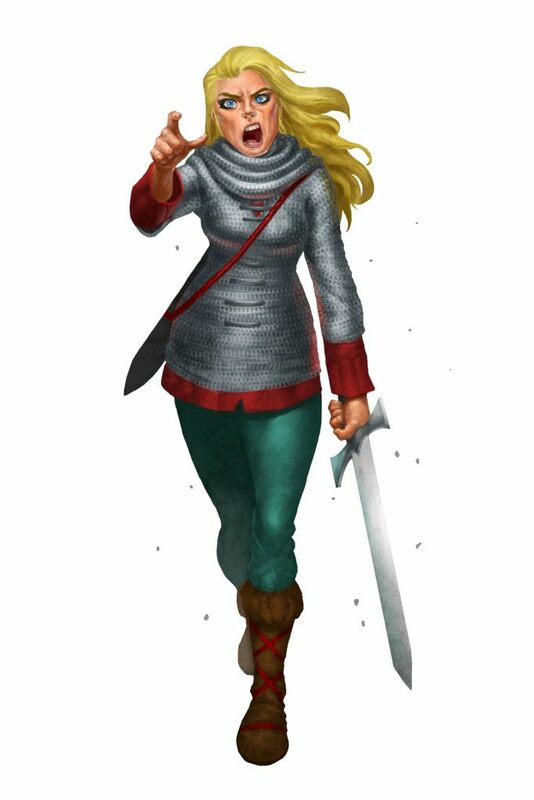 Additional Light Perks include Aura of Light, which literally allows the hero to glow, and reduce Darkness vision penalties, and Multi-Target penalties when intimidating, and Beacon of Light, which grants the character’s benefits from her Light Perks to nearby allies. We cap this preview off with the Prowess Perks, which highlight the martial abilities of knights and archers, and the Heirloom Social Perk, which grants the Storm Knight a magic item! Nile Empire Preview #13 – Gear, Gadgets, and Gizmos!